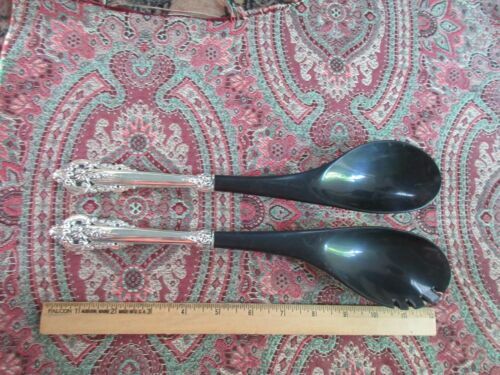 Pair Large Vintage GOLDFEDER SILVER Co Silverplate 3 ARMS CANDELABRAS 20.5"
ROSE POINT PATTERN BY WALLACE SOLID STERLING SILVER 5 3/8" LONG VINTAGE SPOONS. 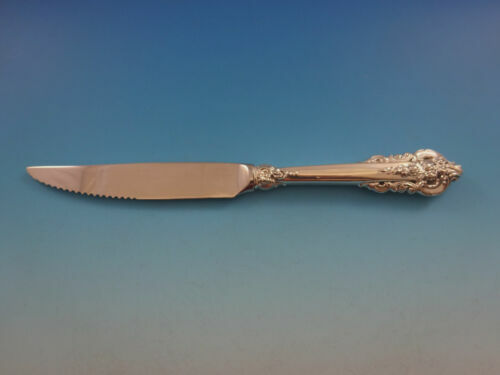 Grande Baroque by Wallace Sterling Silver Salad Serving Set with Olive Wood 11"
Grande Baroque by Wallace Sterling Silver individual Steak Knife 9.25"
NOMONO**We've 8 SPOONS***7" LONG**EUROPEAN**FREE SHIP!! 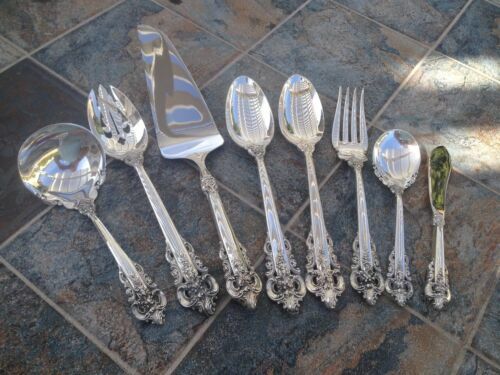 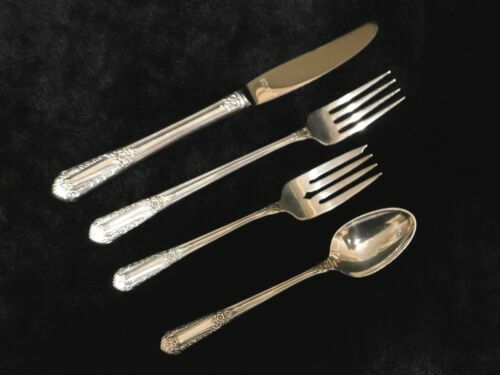 Grande Baroque by Wallace Sterling Silver Steak Knife Original 9 5/8"
4 Knives GRANDE BAROQUE Wallace Sterling Silver Flatware 8-7/8"
2 Vintage Silverplate BABY CUPS - LAWRENCE B.SMITH & COMMUNITY "MODERN BAROQUE"
3 - Piece "Baroque" by Wallace Silverplate & 12" Tea Pot Set - Great Condition! 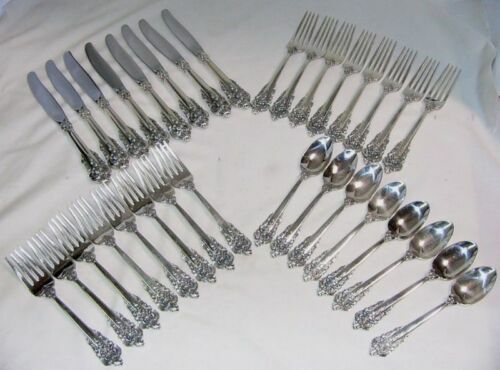 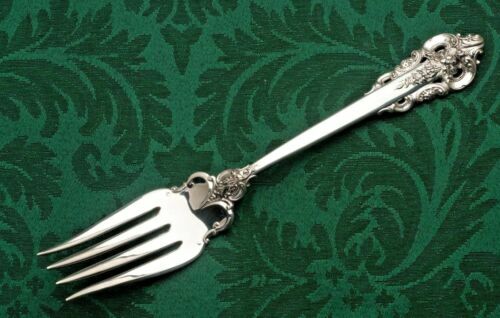 NOMONO***We've 16 FORKS***PROPERLY MARKED***FREE SHIP!! 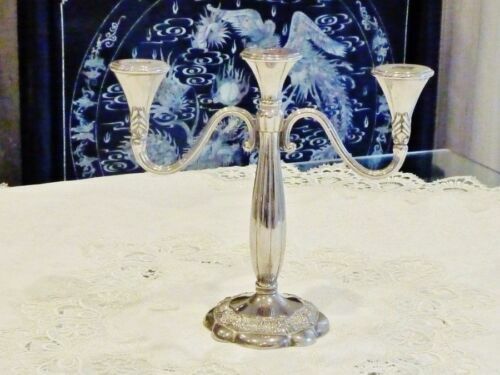 FANTASTIC VINTAGE 3 ARM BAROQUE STYLE SILVER PLATED CANDELABRA . 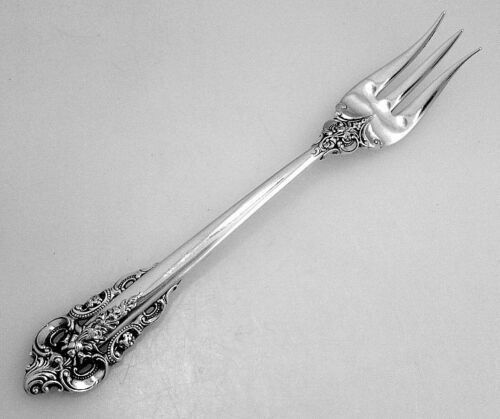 Grande Baroque by Wallace Sterling Silver Baby Set 2pc 4 1/8"
Wallace Grande Baroque Sterling Silver pierced Serving Spoon tablespoon 8 3/4"
NEW- Wallace Silversmiths Sterling Silver Grand Baroque Salad Fork 6 5/8"
Grande Baroque by Wallace Sterling Silver Cold Meat Fork 8"
Grande Baroque Wallace Salad Set Black Plastic 12 1/2""
Grande Baroque by Wallace Sterling Silver Regular Fork 7 1/2" Set of 3 Sale! 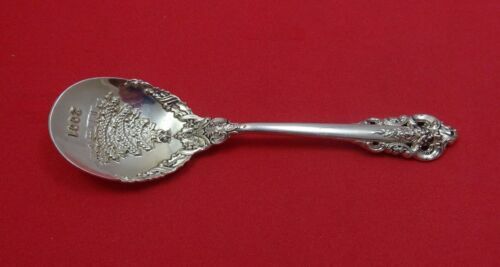 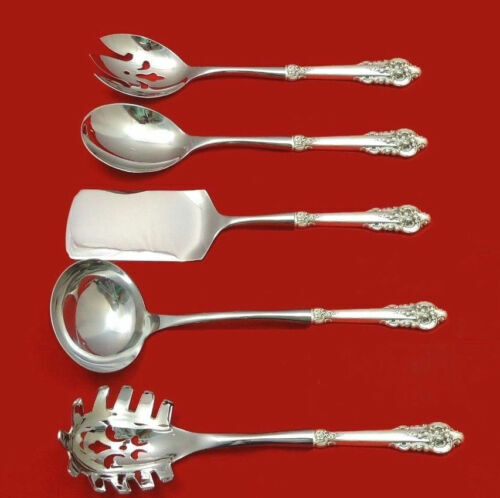 Grande Baroque by Wallace Sterling Silver Christmas Spoon 2004 6 1/4"
Grande Baroque by Wallace Sterling Silver Christmas Spoon "2001" 4 1/2"